Classic double gang 12-Port design. Configured to fit standard double gang outlet box. Designed to support the distribution of voice, data, and other communication needs to the work area for commercial or residential applications. Rugged and durable construction. 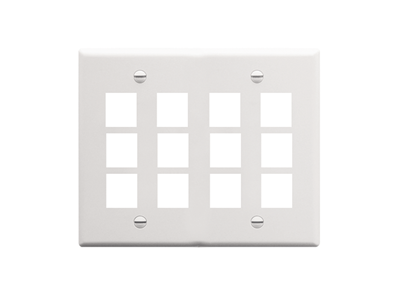 Works with all ICC modular connectors that easily snap in. UL Listed.